Pineapples are universally synonymous with tropical images of paradise, conjuring feelings of relaxation and satisfaction with their sweet taste. When it comes to consuming pineapple, nothing compares to enjoying the fruit fresh. A fresh pineapple may look impossible to crack into with it’s tough exterior, but this couldn’t be father from the truth! Kitchen gadgets like a pineapple corer can make the process of breaking down the fruit a little easier, but aren’t necessary. 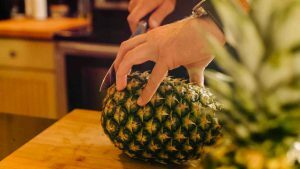 Here’s how to core a pineapple without a corer! Cutting a pineapple is easy, especially if you have tools like a pineapple corer. 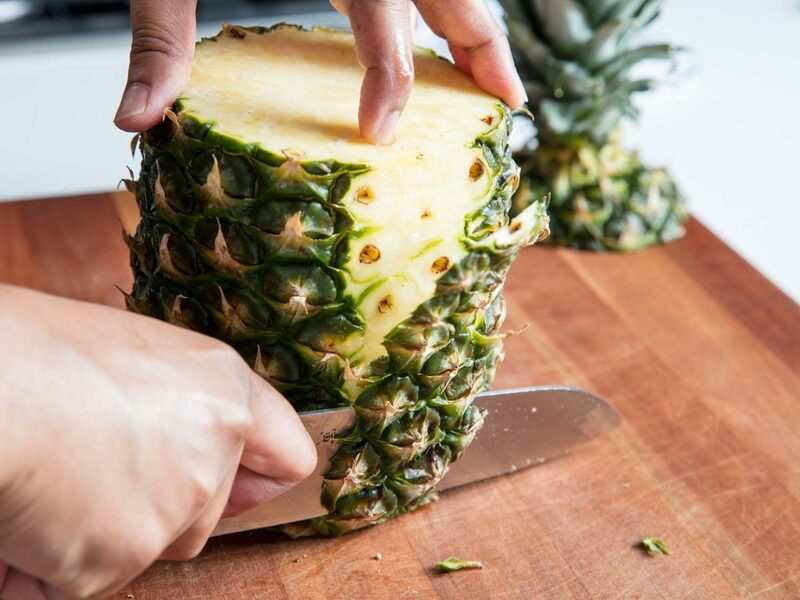 But even if you are simply using a knife, pineapple is a deliciously assessable fruit that can be broken down into bite-sized pieces in minutes. Check out 4 easy steps to breaking down a pineapple for a quick and healthy snack below.